When it comes to business law, it is important to know what the term “breach of contract” means. With the economy recovering at a slow pace and the aftershocks of the 2008 financial crisis still felt nationwide, many people are reluctant to invest their money. Theft or embezzlement of investment funds is a reality that many Americans face, and it can have financial and emotional repercussions on victims for years to come. If you are facing embezzlement of your investment funds, you may feel overwhelmed and unsure of where to begin. A skilled investment lawyer can help you take the necessary steps to report the embezzlement and regain financial security. A Milwaukee jury unanimously found that a Milwaukee Police Officer violated the civil rights of our client by falsifying an affidavit in support of a search warrant that led to a SWAT Team invading an innocent man’s home and shooting him in the hand and shoulder (the shooter was attempting to shoot him in the chest.) In this civil rights case, the jury awarded not only $750,000 in compensatory damages but awarded punitive damages of $250,000. The City of Milwaukee fought this civil rights case for over 5 years including an appeal to the 7th Circuit Court of Appeals (next step the U.S. Supreme Court) which confirmed the client’s right to a jury determination of whether the defendant acted recklessly or intentionally and whether the false affidavit led to the client’s injury. The City of Milwaukee attempted to use the fear of guns claiming that merely because the client owned multiple hunting rifles, the SWAT Team was justified in a executing a “no knock” search warrant with 15 team members, which included the use of an armored vehicle known as the “Bear Cat”, storming his house, shooting him and exercising a technique called a “shield stun” while the client was sitting on the floor, blood spurting from the finger shot from his hand and the wound in his shoulder that tore out much of his deltoid muscle. Years of hard work by the dedicated civil rights lawyers of Gutglass, Erickson, Bonville & Larson, S.C. led to a positive result and vindicated the client’s claim that he did not fail to comply with police commands. Due to a briefing by the defendant, the SWAT Team was “wired” due to the unsupported belief that the client “disliked the police” leading to the “high man” on the entry team shooting without first warning. “The 4th Amendment to the U.S. Constitution and the personal rights that it secures has a long history. At its very core stands the rights of a man to retreat into his own home and there be free from governmental intrusion.” Justice Potter Stewart. A Milwaukee jury held a policeman accountable for our client’s privacy being invaded due to his misconduct and awarded substantial damages. You can read more on the story here via the Milwaukee Journal Sentinal. For civil rights lawyers you can trust, call Gutglass, Erickson, Bonville & Larson, S.C. at (414) 273-1144 today! Insights From a Business Lawyer: What Qualifies as a Misrepresentation or Fraud Case? Misrepresentation is a common crime that can best be described as a civil wrong or tort. As any business lawyer will tell you, misrepresentation can create grounds for civil liability if it leads to the victim suffering any financial losses. For example, a speculator in real estate who sells swampy land masqueraded as an expensive, commercially-viable zoned plot is guilty of misrepresentation. The entity who purchased the property based on the speculator’s misleading declarations may sue to forestall or recover any monetary losses incurred as a result of the transaction. If you’re not a business lawyer, it can be difficult to understand what constitutes a misrepresentation or fraud case. What is Needed to Establish a Fraudulent Misrepresentation Case? You don’t have to be a business lawyer to understand that misrepresentation involves making false statements to convince someone to enter a legally-binding agreement. Fraudulent misrepresentation is the most serious of the 3 major types of misrepresentation recognized under contract law. There must exist a misrepresentative statement that was uttered by the defrauder to the victim in any reliable form that can be determined in court. The defrauder must be fully aware that the victim is completely reliant on the factual correctness of all their statements. Finally, the victim’s belief in the validity of the defrauder’s proclamations must have been strong, justifiable, and reasonable enough to have caused the misrepresentation to result in pecuniary losses. What this mea ns is that for something to qualify as misrepresentation, it must be shown that one not only lied or falsified facts about a contract, but that you also did it intentionally, with the sole aim of defrauding the victim. As your business lawyer will inform you, this makes it the gravest among all types of misrepresentation and it attracts the most severe complementary penalties as well. One must note, however that the misrepresentation does not necessarily have to be expressed as a positive assertion for liability to be established. Virtually anything that can be shown as having been intended to deceive the victim will suffice. Expressions like body gestures, hints, innuendos, allusions, half-truths, undertones, and even silence, can all be used to successfully prove misrepresentation. This is where a business lawyer will truly help your case, as they will guide you through the complicated process of building a misrepresentation case. Misrepresentation is classified as a civil offense, for which you can only sue for damages in civil court with a business lawter. The criminal court equivalent of this particular offense is aptly known as “false pretenses.” Civil court decisions made as a general remedy for most cases of confirmed misrepresentation will often involve rescission. As your business lawyer may inform you, the court will essentially assume that the misrepresented contract or transaction never actually existed in the first place. The victim will thus be compensated and all parties will be restored to their initial financial positions before the misrepresentation was perpetuated. Your business lawyer will help guide you through the legal process and ensure that you are properly compensated in your misrepresentation case. 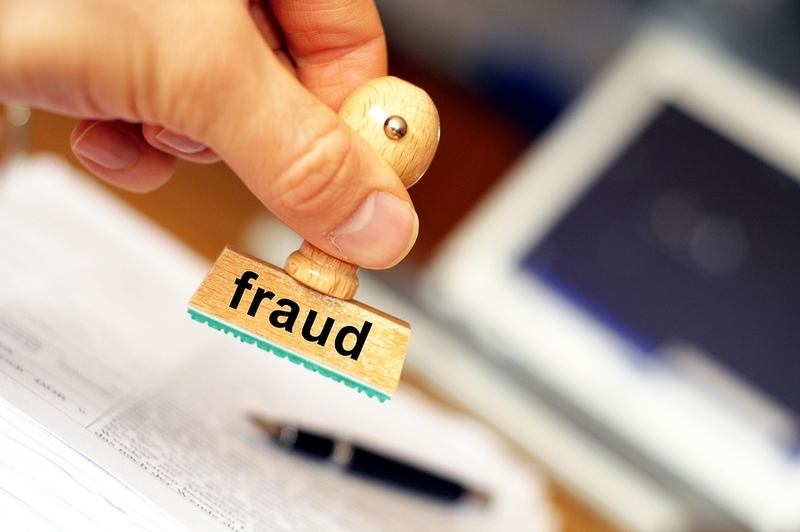 Though fraudulent misrepresentation may have the distinction of having the most significant consequences with respect to recognized types of fraud, it also happens to be the hardest to prove. Demonstrating the defrauders’ “intent” is ordinarily a tricky undertaking, because most can simply claim that they were unaware that their claims were false at the time. A competent business lawyer is essential for misrepresentation victims to successfully pursue their civil cases to a fruitful conclusion. Misrepresentation legislations and statutes are applied differently across every state, so an experienced business lawyer is best placed to inform you on how best to proceed with your suit, and to explain the kind of rewards you may expect. If you feel you are the victim of misrepresentation or fraud in Wisconsin, you’ll need an experienced, reliable business lawyer to shepherd your case. Gutglass, Bonville & Larson Law can connect you with the business lawyer you need. We serve the Milwaukee area. Contact us today for a consultation with a business lawyer. As a medical practitioner, it is crucial you are well-versed about medical malpractice damages.